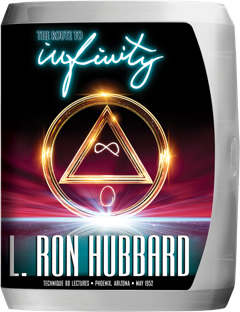 The year was 1952 and he moved from Wichita, Kansas, to Phoenix, Arizona, opening the first Office of L. Ron Hubbard. There, on the edge of the desert at the base of Camelback Mountain, he began the first instruction of Scientology at what was to be the center of Scientology activities for many years. Here was the nucleus of what would become the first worldwide organization, The Hubbard Association of Scientologists. The month was May and Mr. Hubbard had just completed his research with the first E-Meter, isolating and detailing the key incidents and implants on the whole track. And so came the need for and development of an auditing technique far in advance of previous procedures only addressing the current life. He released his discoveries in what were quite literally open-air lectures, given nightly amid the orange groves, providing the most highly advanced procedure to date: Technique 80.